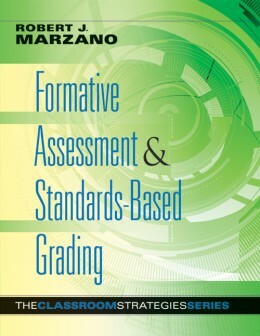 Learn everything you need to know to implement an integrated system of assessment and grading. 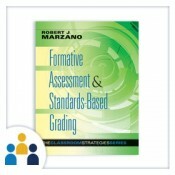 The author details the specific benefits of formative assessment and explains how to design and interpret three different types of formative assessments, how to track student progress, and how to assign meaningful grades. Detailed examples bring each concept to life, and chapter exercises reinforce the content. Learn how to design three types of formative classroom assessments that should be used in a comprehensive system. Understand the difference between standards-based and standards-referenced systems. Find out why it is usually inappropriate to use the 100-point scale in conjunction with formative assessment. Gain a systematic approach to the design and use of rubrics. Learn four basic approaches to tracking student progress using reproducible grade sheets. Use technology to track progress and generate reports. Create grades for teachers using formative approaches. Utilize an appendix that clearly explains the concept of effect size. Discover exercises to help readers assess and reinforce their understanding of the new strategies. This book was a great introduction to standards systems. It was a quick read, easy to understand, yet highly informative. I would recommend it to anyone who is interested in moving towards this system.